Eight days ago, two of the best golfers of the 1928-founded Cebu Country Club—and, quite possibly, the entire Cebu—stood at the footsteps of Hole No.1, shook hands, plunged their tees on the grass, then swung. Eric Deen, 43, loomed tall as a four-time champion. He’s the Dean of Golfers. From 1997 to 1999, then again in 2004, he hoisted the trophy above his shoulders. And, once again, he was on familiar ground: the finals of the 2007 Club Championship. His opponent? Twenty four years his junior: Charles Hong. “Chuckie,” as he’s called by everyone, is only 19 years old yet, for three years straight, he’s been in the Class A finals. Two years ago, he beat fellow jun-golfer Jojo Tiongko in a thrilling 37th hole, sudden-death playoff to become one of the youngest-ever champions in Cebu Country Club history. He was 17. Last year, he entered the finals again—but lost to arguably the best player to ever set foot in the club, Montito Garcia. So, last May 10, it was Eric vs. Chuckie. During the lunch break and after 18 holes of the 36-hole match-play final, Chuckie was 2-up. When play resumed in the afternoon, he scored even better: by the 28th hole, he was 4-up. Then, Eric made his Tiger Woods-like charge, winning three of the next four holes. By this time, the dozens of members and guests who rode on golf carts and trailed the duo went abuzz. With four holes left, Chuckie was only one-up. This was to be a thrilling finale. But hole after hole after hole, Chuckie stood firm and tied all the way until the finish to win his second championship. Hard to believe but Chuckie won’t be turning 20 until June 26. This means that, as a teenager, he’s already won twice. 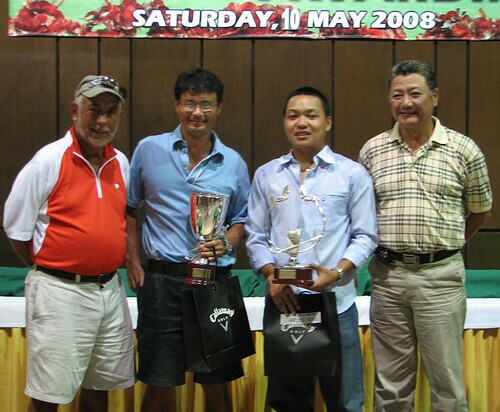 And his route to the title last week was the toughest: He beat Montito Garcia in the quarterfinals, Carl Almario in the semis, then Eric in the finals—those three are winners of over a dozen club championship trophies. START. Charles Hong was born to play golf. His dad, George, after tennis, shifted to golf many years back and once sported a six-handicap. (Now, he’s a 10-handicapper.) Chuckie’s mom, Jojo, also plays. 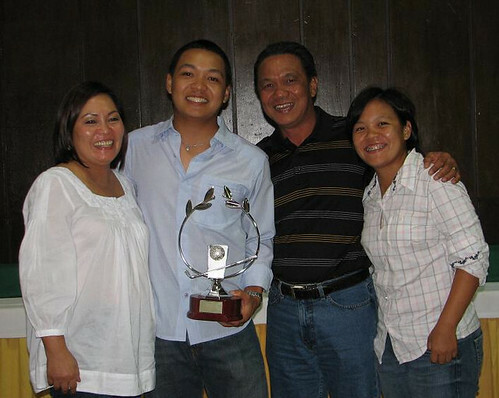 And, the youngest among three, Chuckie is surrounded by a sister and brother who are also winners: Kim, the eldest, was a former women’s club champion while older brother William was a junior golf champion. “We spent many, many Sundays, the five of us, playing golf. We were one family enjoying each other’s company on the golf course,” said Chuckie. At six years old, when a 9-iron was barely his height, Chuckie started golf, joining the Jungolf program at the Cebu Country Club. Two years later, he was participating in tournaments. 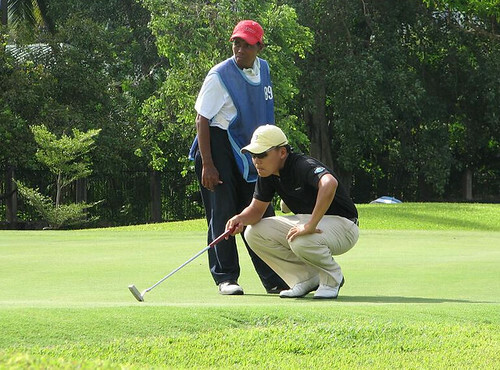 By the age of 12, “I was winning many of the events I joined.” Apart from being top-ranked in Cebu, Chuckie also joined junior events in Singapore and Japan, winning second place at the Philippine-Japan Friendship event when he was 15. TODAY, Chuckie is a fourth year Civil Engineering student at the De La Salle University in Manila. 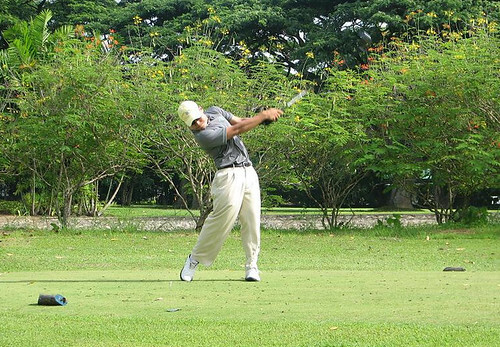 Serious with his studies, he is also serious with his golf at the DLSU. “I joined several of the La Salle versus Ateneo games and helped our school win. I am also a varsity player now,” he added. Varsity player? That’s being too humble. How about being called the best collegiate player in Metro Manila—and possibly, the entire country. My congratulations to Chuckie for winning the club championship for the 2nd straight year. I look forward to seeing his name on the professional tour someday. Eric also deserves a congratulation for reaching the finals. I’m glad the CCC Men’s Association is keeping the traditional 36-hole match play finals. Most club championship finals these days have changed to stroke play. I enjoyed the photo showing the 18th hole green; it reminded me of the times I’ve played there. I’m going for my 19th club championship in September, John. I’m anxious and nervous at the same time. and apologies if this is a history trivia question. a friend is coming out with a book on cebu. 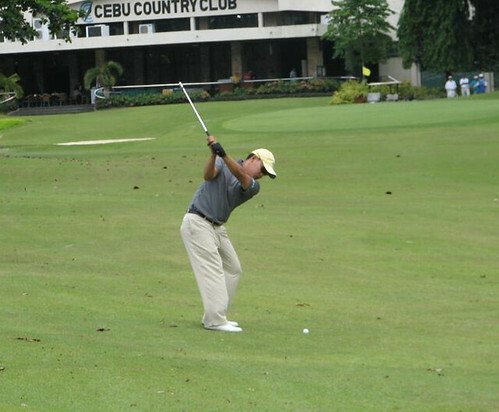 do you know the history of the cebu country club? it was originally the U.S. Service Club which before that was the Army-Navy Club located fort san pedro. When did it move out of there and when did it become cebu country club?